"Song and dance gala in Shangri-La"
China is the cradle of one of the world's four oldest civilizations with a recorded history of over 5000 years. It boasts a highly developed rich cultural heritage as well as remarkable natural beauty. Our experienced guides and staff will help you to see this China with new eyes. Before the modern era only Marco Polo could have imagined the treasures of this land. Now you can take in the fascinating sights for yourself. Reputed as the "Paris of the Orient", the city is an amazing mix of western and eastern cultures, boasting both traditional Chinese features and its modern lifestyle. One of China's most important tourist places, famous for its enchanting natural beauty and elegance, plenty of romantic tales, and cultural heritages. Living up to its reputation as China's Garden City, the canals, ancient architecture and green spaces give the city a timeless and tranquil ambiance. High mountains, ancient pines, bizarre rocks, and seas of clouds found in traditional Chinese landscape paintings, all come alive at this celebrated mountain. This is the best-preserved and most imposing section of the Great wall. It is approximately 3,741 meters (2.3 miles) long and was of great strategic importance in ancient times. This temple complex is an architectural wonder featuring the triple-roofed "Hall of Prayer for Good Harvest", where the emperor went to worship heaven and pray for the coming harvest. One of the world's most beautiful architectural complexes, this served as China's imperial palace for almost five centuries. Its massive scale and majestic design are overwhelming. The nest-shaped elliptic steel structure is hailed as "an icon of the Beijing 2008 Olympics" and has become a recognized landmark worldwide. As the eighth wonder of the ancient world, it has history more than 2200 years. Over 8,000 soldiers, 130 chariots with 520 horses and 150 cavalry horses are unearthed. The outstanding design of this Chinese tower has helped it survive a thousand years of turmoil and natural disasters intact and still holding a treasure-trove of Buddhist relics. Xi'an's most famous landmark, the largest and best-preserved bell tower in China. A keen imagination takes visitors back to the day when its bells split the night air warning of invasion. More than 3000 cultural and historic artifacts were specially chosen to display here in order to fully portray the glorious civilization centered in Shaanxi province. Featuring a charming blend of Tibetan and Han architecture, this once served as the Tibetan imperial palace, and is also the highest palace in the world. This street runs through the heart and soul of Lhasa. The festival-like atmosphere and abundance of exotic souvenirs make for a fun-filled stroll or a shopper's paradise. Jokhang Temple is the spiritual center of Tibet and the holiest destination for all Tibetan Buddhist pilgrims. As the highest lake in the world and with beautiful legends, it becomes a holy lake and has attracted numberous Tibetan pilgrims to worship here. As a cradle of ancient Chinese civilization and coursing from west to east through ten provinces of the country, the mighty Yangtze is the longest river in China and the third longest in the world. Constructed on the mountain slopes and along the riversides, Chongqing is known as a "Mountain City", abundant in scenic spots and historical and cultural interests. Being the largest hydroelectric complex in the world and a modern marvel of human engineering, the dam is a must-see highlight of any Yangtze cruise. One of the most famous sights in a Yangtze cruise, this boasts three sections of valleys along the Daning River, and is well-known for the crystal clear rapids and vertical cliffs. The special geography gives it breath-taking scenery. The diverse ethnic minorities bless it with special folk cultures, while many foreign residents add exotic flavors to its fascination. The centerpiece of any trip to Guilin, you will float down the crystal-clear, tranquil waters of the river, while the fresh breeze and ever unfolding karst mountain scenery delight all the senses. Originally built during the Ming Dynasty 500 years ago, the terraces stretch up the side of Longji Mountain from the river valley like a slithering serpent glittering in the sunlight. This is the most visited cave in the world and a marvelous natural spectacle. The large variety of natural rock formations found here are sure to challenge your imagination. Celebrated as the "City of Eternal Spring", the city bosts alluring highland scenery, bewitching karst landform, and varied and exotic habitats and customs. A fairyland beneath the colorful clouds of southern China, attracting millions of tourists by its spectacular snow-capped mountains and its ancient primitive town. 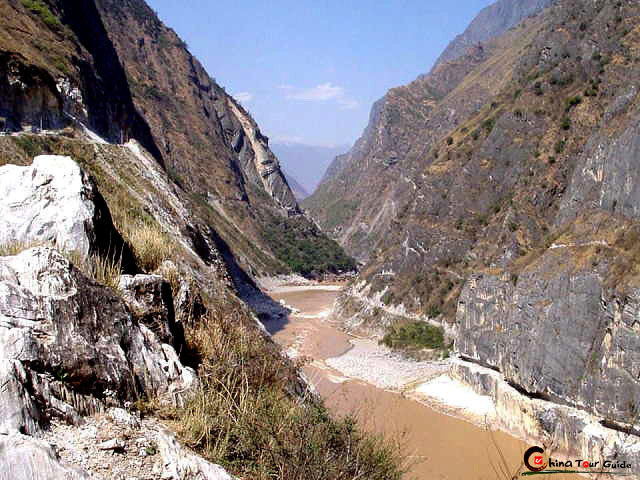 This is a sacred earthly paradise, blessed with majestic mountains and of superb possibilities for trek, botanical exploration and Tibetan culture discovering. Lying on the way to Shangri-La from Tiger Leaping Gorg, Tiger Leaping Gorge is the longest, deepest, and narrowest gorge in the world. One of the largest and oldest Dong villages, this mountain community's ancient architecture, century-old practices and hospitable locals offers a welcome contrast to urban lifestyle. The biggest village of Miao in China and known as the one-thousand household Miao village, which is a living fossil for the study of Miao people's history and traditional culture. As one of the most exciting Miao festivals, this oldest Oriental Valentine's Day in Guizhou presents a great festivity for Miao youth to choose their dates. In this Miao ethnic village the locals live as they always have, maintaining a primitive slash-and burn lifestyle, practicing ancient customs, and holding their own unique beliefs. The highest spot in Hong Kong offers a spectacular vantage point from which to see the hustle and bustle of the day as well as the breathtaking night view and colorful city lights. A charming beach, soft golden sand, and clear azure blue water gently lapping the seashore have made it a popular spot for relaxation and aquatic activities. The second Disneyland built in Asia. With fantastic scenic spots and Disney theme hotels, you're sure to start a magical journey and enter into a fairy tale kingdom. This is a popular Taoist temple in Hong Kong and is famed for the many prayers supposedly answered there via a practice called "Kau Cim". With ancient docks, waterside pavilions, and corridors stretched out for miles, Wuzhen makes a romantic atmosphere that is typical to water towns. Seemingly like being in an earthly paradise, you will feel extremely relaxed in Xitang water town, and be intoxicated by its beauty and local featured customs. 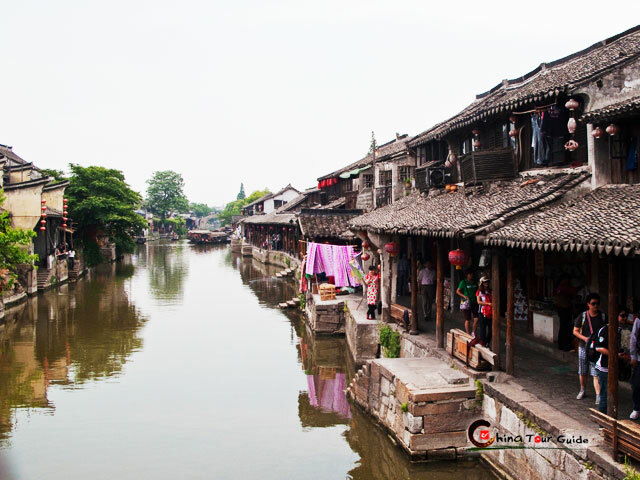 Known for a system of canals, Tongli has a history of over 1000 years. 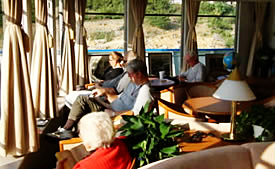 The same waterways that kept it unscathed from wars make it peaceful and quiet. Remarked by Marco Polo as "the Venice of the East", Zhouzhuang is famous for its elegant watery views, well preserved ancient houses and local featured traditions and customs.